Why the Epson WorkForce Pro WP-4011? The Epson WorkForce Pro WP-4011 is a dedicated business printer with a highly efficient and durable Epson Micro Piezo™ print head for excellent printing quality at a very low cost per page, and convenient networking features for your office or home. Achieve peak productivity with fast initial print out time and a class leading auto two-sided print speed of 9.2 and 7.1 ppm for black-and-white and color respectively, producing crisp and clear documents efficiently. Single-sided printouts are achieved at a print speed of 16 and 11 ppm for black-and-white and color respectively. Fastest in its class: printing black text in default, two-sided mode, in accordance with ISO/IEC 24734. 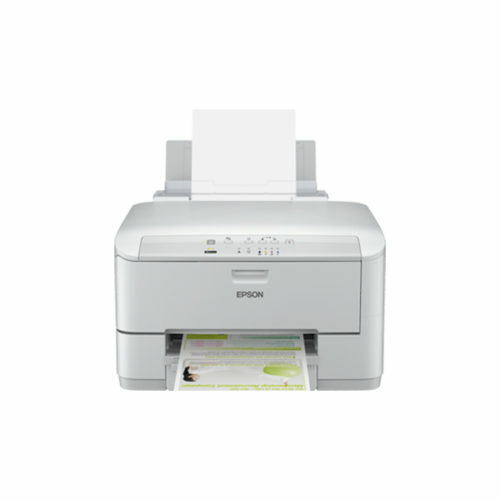 Compared to inkjet and all-in-ones priced at US$399 (incl. tax) or less, based on manufacturers’ rated ISO speeds or independent testing. Comparisons are based on the information available at the time of publication and are for illustrative purpose only. The Epson WorkForce Pro WP-4011 maximizes your savings with high capacity ink cartridges that yield up to 3,400 pages in black-and-white, at just USD 1.4 cents per page. Compared to conventional laser printers, you save up to 50% in running costs. Operating cost is further reduced with the Energy Star compliant WorkForce Pro WP-4011, designed to lower energy consumption by as much as 70% compared to conventional laser printers. Reduce the hassle and time spent on replenishing paper with the optional 250-sheet paper tray that increases total capacity to 580 sheets. Enjoy greater flexibility with both 250-sheet front paper cassette and 80-sheet rear paper feeder for a wide range of print media, including plain paper, labels, envelopes and photo media. The Epson WorkForce Pro WP-4011 is equipped with Hi-Speed USB 2.0 as well as Ethernet connectivity, making it ideally suited for office and SOHO environments. Our easy setup solution makes it a breeze to share your WorkForce Pro printer with PCs, laptops and even smartphones. Presenting your best is easy with re-engineered print head and DURABrite™ Ultra Inks, an all-purpose ink that promises brilliant printouts for reports, charts and photos that last. Superior printing quality is now possible with this revolutionary smudge, fade and water resistant ink. What’s more, its instant drying formula makes it ideal for double-sided printing. 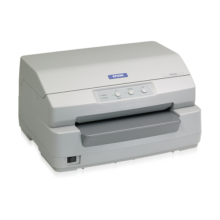 The Epson WorkForce Pro WP-4011 is designed to support a high monthly duty cycle of up to 20,000 pages. For added convenience, WP-401 comes with an easily replaceable maintenance box so that you do not need to bring the printer for servicing when the ink pad is full.